No doubt you’ve already seen how beautiful ribbons hanging from chairs can look, but just check out how simply this is done here. 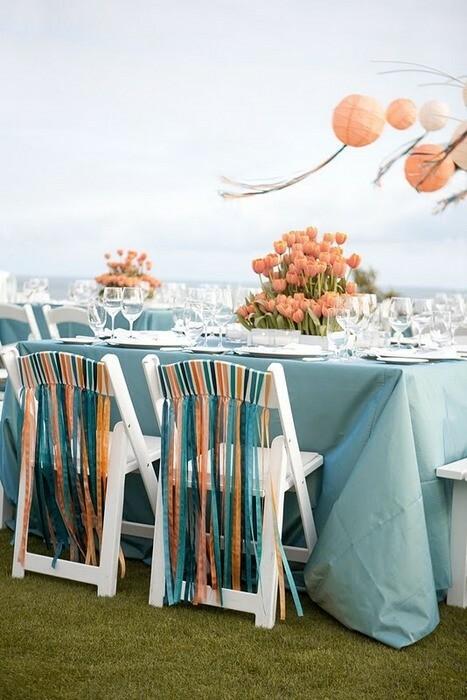 From Turquoise, Tulips & Bliss, the ribbons hanging on these chairs are beautiful without being fussy and very simple to copy. Mostly used for weddings, I think doing something like this for the guest of honor at a birthday party or a baby shower would be even sweeter. So what are you waiting for? Head to the ribbon shop, stat! This entry was posted in idea thief and tagged ribbons on chairs, wedding chairs by Annika. Bookmark the permalink.